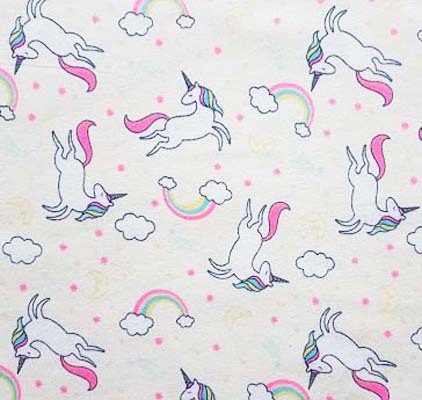 Dancing unicorn and rainbow design on a cream background, 100% cotton flannel from the Nutex cotton collection. 106cm / 42" Width, this fabric weighs approximately 150gsm. Multiples of a size will be cut as one piece unless requested otherwise. It looks very nice. I haven't used the fabric yet but the print is very pretty and the fabric soft.